February | 2015 | Home Improvement Grants 2015 February | Helping you improve your home and make it safer and more energy efficient! The U.S. Department of Housing and Urban Development (HUD) offers the Section 203(k) rehabilitation mortgage insurance program that allows homeowners and homebuyers to obtain financial assistance in purchasing, refinancing or rehabilitating their homes. In purchasing a home that requires repairs or modifications, homebuyers often have to adhere to expensive and complicated processes. Customarily, home improvement loans have relatively high interest rates and brief repayment terms. The purpose of this mortgage insurance program is to provide solutions to help borrowers and lenders by insuring a fixed or adjustable long-term rate loans that covers a home’s purchase and rehabilitation. This program also saves borrowers an amount of cash and time because of the insured loans. Section 203(k) also safeguards lenders by enabling them to have insured loans even before the property’s value and condition provide enough security. 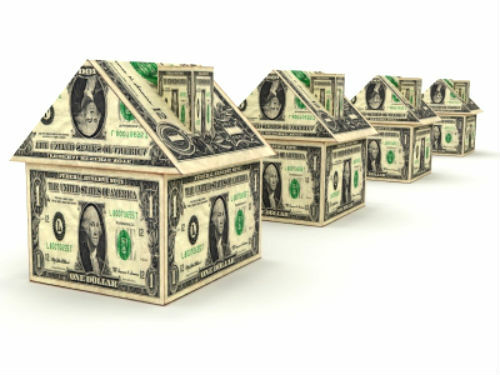 Section 203(k) requires that the property is at least a year old for it to insure mortgages that cover the acquisition or rehabilitation of a home. A piece of the loan proceeds go to pay the seller to fill the bill of an existing mortgage. The remaining funds are directed to an escrow account and issued when the rehabilitation is completed. Rehabilitation costs at least $5,000 to qualify. However, the property’s total value must be in range within the Federal Housing Administration (FHA’s) area mortgage limit. Lenders usually impose additional charges to cover supplemental origination, preparation of documents, review of rehabilitation plans and appraisals. The level of the rehabilitation under Section 203(k) may range from minor to virtual reconstruction (minor repairs must exceed $5,000 in costs). A property is also qualified provided it has been demolished or will be bulldozed as part of the rehabilitation and that the existing foundation is still intact. Section 203(k) insured loans can also fund the rehabilitation of residential parts of a property that has a non-residential value.These loans can also cover property size conversions to a one- to four-unit construction. HUD mandates that properties or homes financed under Section 203(k) must follow basic energy efficiency and building standards. Loan applications must be directly submitted to an FHA-approved lender. Lenders choose an FHA-approved consultant, who produces a description of work needed to improve the property. Then, an appraiser establishes the repaired value of the property. Eligible applicants must also demonstrate the capability of meeting and repaying their loans. The FHA Resource Center can provide you with answers to your mortgage and loan products as well as your home improvement and rehabilitation questions. A major home improvement project is often associated with high costs. So, homeowners usually think twice about whether these costs would match their budget. But, did you know there is a range of available financing options to help homeowners get the overhaul their homes deserve? 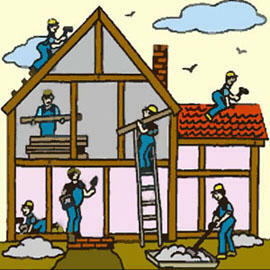 There is a variety of factors involved in a home improvement project. First, consider whether you have timeon your hands. Planning and undertaking home improvement projects can be strenuous so you want to get these projects done ASAP. Set up a date on when to start and complete the project so you will have a schedule. Next is considering financing. Once you have planned this project, you realized you cannot afford the major expenses involved even if you have coughed up a substantial amount of savings. Talk to a lender about the available financing options that would suit your budget, situation and personal preferences. While some contractors do offer financing options, they typically run at a higher interest rate and are often unsecured. If you’re unsure of being eligible for financing, you can choose this convenient route. You can also choose to borrow from conventional lending institutions. You can start off with the bank of your choice or a credit union. These institutions provide good, if not high, interest rates and if you’re a member, you will be given generous terms. Considering mortgage brokers is also a good idea if you’re inquiring about home financing. In fact, you can take advantage of a rehabilitation mortgage insurance program to help homeowners like you secure home improvement grants and loans. To be eligible for home loans, your credit history should be good. Your income and other securable assets are also examined and verified to see whether you are capable of repayment. Lenders review these things and they will use what they learn to determine the types of financing that you qualify for. Cash-out refinancing changes your current mortgage with another loan that usually reimburses your current mortgage balance and utilizes your home equity to present additional funds for other functions. A home equity loan enables you to obtain the full loan amount straight away. With this type of financing, you can select from a range of loan terms, enjoy fixed interest rates, flexibility (you can choose the option of home equity closing costs that best fit your needs) and potential tax benefits since your home equity loan interest may be tax deductible. A home equity line of credit lets you decide if you want to continue with a variable-interest rate or adapt a fixed-rate advance option exclusive of refinancing. With this type of financing, you can also opt for the best closing cost options that are suitable to your needs. Furthermore, this financing option offers tax deductions on your home equity financing interest. Good news for low-income households who are living in rural areas and who wish to partake in a home improvement and repair project. The United States Department of Agriculture’s (USDA) Office of Rural Development, the country’s leading agency committed to helping improve the lives of rural residents and the economy, has introduced the Low-Income Housing Repair Loans and Grants program where low-income rural homeowners are able to take on home improvement, maintenance and repair projects that otherwise they wouldn’t be able to afford because of the huge expenses involved in improving a home. The Office of Rural Development has laid out funds that can be granted and borrowed under the Low-Income Housing Repair Loans and Grants program. The program offers to fund general home repairs and upgrades, or make improvements that will remove health and safety hazards in a home. Furthermore, the funds can be utilized for remodelling or repair of residential properties to make them more convenient and accessible to homeowners that have physical disabilities. The program also includes home renovations that consist of replacement or fixing of heating systems, water and waste disposal systems, electrical and plumbing systems, as well as weatherization and roofing systems. The Office of Rural Development is geared to allocate an estimated $20,000 for loan borrowers and $7,500 for those who are eligible for grants. The loans granted within this program have a one percent interest rate and repayment can be made for over a period of up to 20 years. To qualify for the Low-Income Housing Repair Loans and Grants, homeowners deemed eligible can drop by the nearest local Rural Development field office where their homes are located. For those who are interested to apply for the grants and loans, they should remember that the program is available only to homeowners living in the rural areas. This means that the place they live in should have a population not exceeding 10,000 in the United States, Commonwealth of Puerto Rico, the US Virgin Islands, Guam, American Samoa, the Commonwealth of Northern Mariana’s and the Trust Territories of the Pacific Islands. Eligible loan applicants are homeowners who own and reside in a property in a qualified rural area. Applicants should also have the capability and the willingness to repay the loan. The USDA Income and Property Eligibility website can help you establish your income eligibility to receive a direct loan. Conversely, grant applicants are homeowners aged 62 years old and above. These qualified applicants are those that don’t have the capacity of repaying the grants allotted to them. The applicant’s capacity to pay back a loan takes on multiple factors such as income, assets, debts and the payment amount that applicants may be entitled to receive. Not only can this program assist low-income applicants repair their homes, this program also enables them to create and obtain more decent, safer and more sanitary living spaces. Aside from these home improvement grants and loans, the USDA Office of Rural Development runs over fifty financial assistance programs to help improve the quality of living among rural inhabitants.